Shopping | Curly's Corner Shop, the blog! Frederick Street: 40 year decline to be arrested. 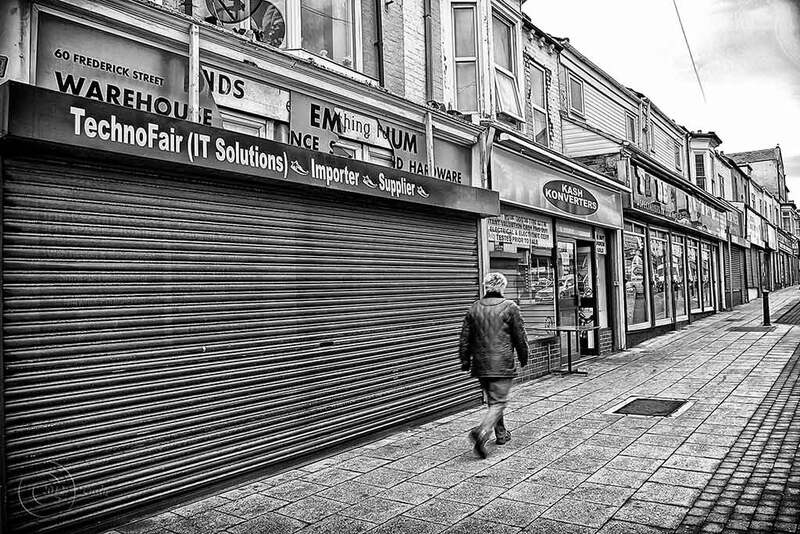 Almost six years ago I blogged about the possibilities of getting some new housing and regeneration into the Frederick Street area of South Shields, I opined then that the main reason that this once thriving retail area was in steady decline was because it had lost its customer base, and that happened forty years ago in 1972 when a larger part of the “long streets” were demolished. Other than the small Lytton Park estate very few other houses were erected on the empty land, car ownership increased dramatically, people were more willing to travel further to find the type of shopping that they wanted, and the traders in Frederick Street began a gargantuan struggle for survival. The neglect for the area by South Tyneside’s Labour council, and indeed its predecessors typified the reasons why I could not follow in the footsteps of my peers and support the party with any sort of unthinking blind loyalty that they showed. There were quite a few areas in South Tyneside that were allowed to just lay fallow over the course of those years including huge swathes of the riverside in Jarrow and Hebburn, and the site of the old coke ovens at Monkton. However in the last decade more effort has been put into economic regeneration, we now have modern business parks in Monkton and Boldon Colliery, the old St. Hilda’s colliery site houses a good business hub, the old Harton colliery site had earlier been replaced with housing, the Cleadon Park estate has been thoroughly reformed with a mix of social and private housing, housing has been much improved in West Harton and smaller housing developments in Jarrow and Hebburn are much welcomed. 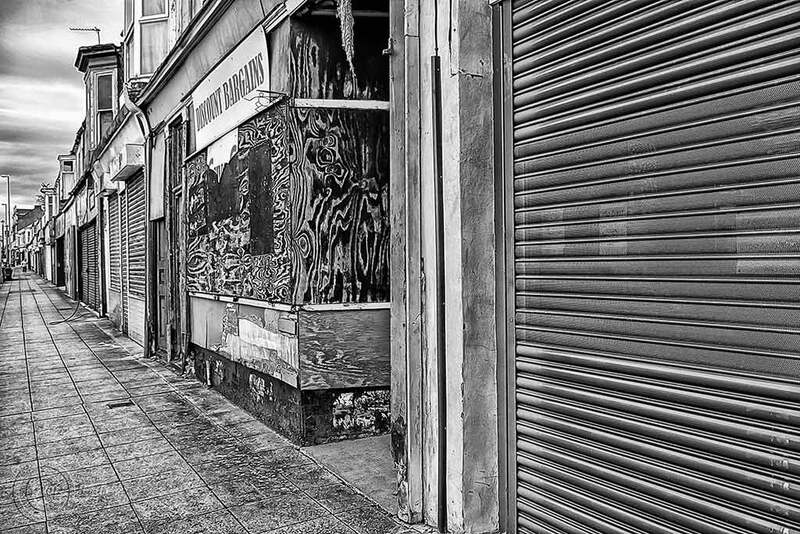 Yet Frederick Street continues to decline and struggle and provides a visual eyesore on the main approach route into South Shields, it should be remembered as one of the great failures of the Labour Party to provide for the future of this area, this forty year legacy of crumbling ruin and economic heartache ought to have been an electoral battleground but it never was, and never shall be as long as sons and daughters blindly follow the dictums of their parents to vote Labour, the party will be quietly appreciative of this blind support. That area of local politics, which I will refer to as “town development” took a great change under the leadership of Paul Waggott and has been continued under the present leadership of Iain Malcolm and the riverside regeneration plan is now one of Labour’s centre piece policies in South Tyneside, there is a realisation that we cannot hold on to our past and must build for the aspirations of future residents to provide a modern borough capable of attracting inward economic investment, and I think that they now see the the size of the problems stored up for them in the past after years of introspective navel gazing and subsequent neglect. I have always welcomed this new plan for the riverside and the Rekendyke ward, bringing a mix of housing and business opportunities to the area that really represented the heart of South Shields as it grew away from the market area in the late 1800s, for me it just cannot happen soon enough. 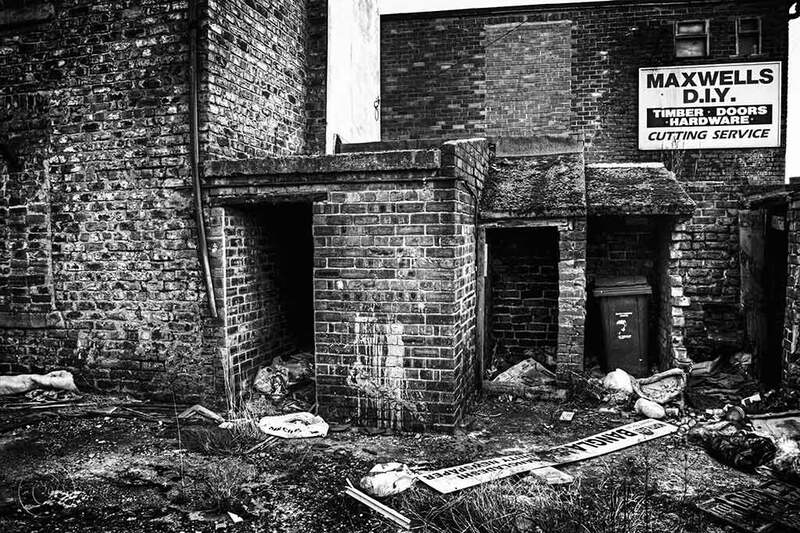 So it is with some pleasure that I now see the signs going up in Frederick Street and what remains of Wallpole Street telling us that “this property has been acquired by South Tyneside Council for regeneration”. To be fair this process of acquiring properties is the most difficult part of the plan, some leases are longer than others and problematic to negotiate, some owners feel as though they may get a better deal by hanging on until the last minute (unfortunately they will not, their properties will be bought at a low price using CPOs) but once all of the land deals are made we can then see more rapid progress. I took the opportunity of getting in touch with Cllr. Michael Clare, the Lead Member for this policy area and also one of the Rekendyke ward councillors to ask him about the level of progress being made and to try and ascertain what level of retail footage will remain in Frederick Street to service all of the new houses that will be build around it. As you know the Council has been and continues to acquire land along the riverside and within the Trinity area. Frederick Street is an integral part of the Riverside Regeneration Project and considered a high priority by the Council at both Officers and Political levels. We are at last after considerable time at a sensitive stage in discussions with developers and landlords within and around Frederick Street. Local Councillors have recently met with Frederick Street Traders Representatives and the dialogue and support has been really positive about our ambitions for Frederick Street. So in a nutshell, yes, Frederick Street does have a future as a retail area and businesses will continue to have our support. As part of the dialogue with Traders we have promised to maintain strong lines of communication with them at key milestones. We are keen to continue to promote the street. Curly, I believe you also have the capacity and network to help us in that regard and I personally would welcome your support. As always, there seems to be confusion at the scale of development along Frederick Street. For the avoidance of doubt demolition will only take place on the southern section. The northern section is being retained and developed with the emphasis on mixed retail. The Council are currently negotiating with owners/retailers/landlords on the southern end. Those negotiations are at different stages for differing reasons some more complex than others and sensitive to those parties impacted by them. We are however committed to this regeneration project. There is one small cryptic clue in Michael’s words -which I hope I am reading correctly – “The northern section is being retained and developed with the emphasis on mixed retail”. I am anxious to know what sort of development is envisaged to modernise what will be the “rump” of this once fine shopping thoroughfare? By retaining the northern part we are assuming that some sort of works can extend its lifetime even further, and some sort of developments can be made which will shield from our eyes the unsightly mess which can all to readily be seen from the dual carriageway behind it as we enter town. I am also presently concerned that some of the properties in the northern part of Frederick Street may no longer be fit for purpose, or indeed still standing by the time the plan finally reaches fruition. The site is 5.3 hectares (13 acres) in size and already has outline planning permission for 401 new homes. The Council is currently running a competitive tender process to select a private sector developer to develop a mix of 2, 3 and 4 bedroom family homes on the site. This will include a proportion of homes for social rent. Six national housebuilders submitted formal expressions of interest in the development, and the tender process is working towards shortlisting these down to select a preferred developer. We expect the developer to be appointed in June, 2012. I’m not able to give you details of the bidders or their proposals as the public procurement process has to be kept confidential. The proposed plans will be available when the developer has been selected. To facilitate comprehensive redevelopment, privately owned properties in the southern part of Frederick Street will need to be acquired by the Council. The Council has already started a programme of acquisitions and demolitions through negotiations with the individual landowners. We are also working with existing businesses to assist with their relocation where this is possible. It is expected that construction work for the housing development will start in early 2013. It is unlikely that all the acquisitions will have been completed by this time, so this will continue in parallel with starting the first phase of development. It is expected that the full development will take about 5 years. The northern part of Frederick Street (north of Walpole Street) will remain as part of the neighbourhood centre. One of the Council’s requirements for the development is that the future development is physically integrated with the existing retail and service centre. The emphasis is mine, I keep hoping to read little secrets in these exchanges, I am optimistic you know, and keep thinking that the current part of the old street just cannot be left as it is to sit in a new housing development. Nor can the current visual impact of this gateway route into the town be left as it is. The rear of Frederick Street has as much visual appeal as a landfill site, and this simply will not be acceptable in 2018. Whilst the street has continued its decline a number of enterprising young businesses have begun to flourish, there has been a rapid growth in take away food shops and cafes, which whilst not fully replicating the culinary delights of Ocean Road are coming close. The street has some of the finest Indian and Bangladeshi food outlets in the town now as well as shops to satisfy those who wish to purchase the ingredients to cook their own. 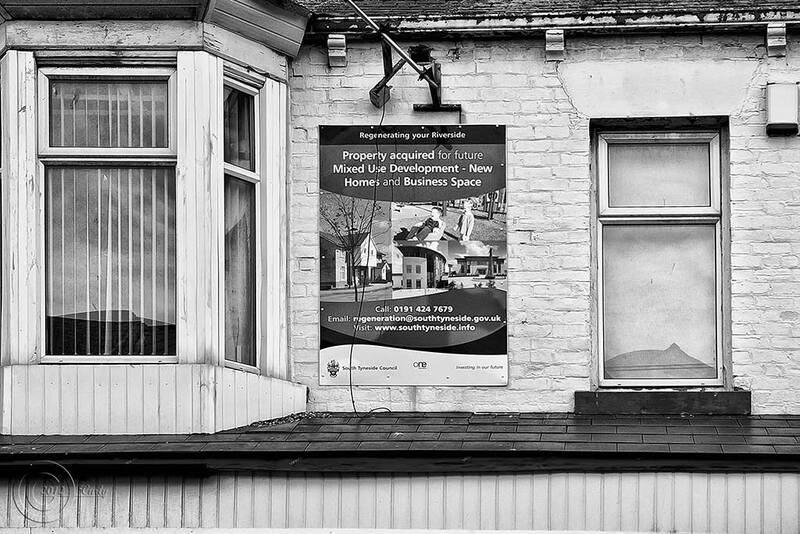 Many of these businesses may want to remain in the Frederick Street area in the years ahead of the new developments and it would be a great pity to see their enterprising work lost, one looks and hopes that premises with names such as The Phoenix Cafe have a prophetic sound and that the mix of retail development in the future will surely give the impression of an area reborn and rising from the ashes like a Phoenix. One would hope that the decline had finally been arrested. Only then, by circa 2020, will we be able to look back and begin to forget about the near fifty year neglect by a succession of mainly Labour councils who appeared to care little about the legacy that they had left for their children. One has to congratulate the current team of planners for their foresight, and the disparate opposition in South Tyneside for providing their support (for surely they had NO alternative plans of their own during those years), and now we must trust that property owners fully engage with the proposals and negotiate calmly and timely to ensure that the best deals are made on behalf of themselves and South Tyneside Council to ensure that this development along the riverside proceeds with utmost speed. I woke fairly early this morning after a long and troubling dream in which I had just witnessed the opening in fifteen years time of the newest South Shields entertainment initiative. Iain Malcolm South Tyneside’s (by then) veteran Labour Leader had seen his latest dream come to fruition, somehow he had cobbled together enough European and UK grants in a public/private partnership to have the old telephone exchange in Crossgate, South Shields transformed into a neo-gothic styled restaurant and night club, South Tyneside Council were to get first call on use of the place and a private operator would use it at all other times. The whole of the interior had been stripped out by a force of new apprentices especially employed by the private contractor as part of the scheme, the exterior had been clad in granite and limestone and people were impressed at how much it resembled the architecture of the Town Hall in nearby Westoe Road with its solid oak main doors and traditionally styled stained glass windows. However it was the inside of the place which really caught everyone’s attention, this was South Shields’ tribute to Westminster Hall, a magnificent chamber supported by huge columns and a fake fan vault ceiling, this was to be the most opulent medieval banqueting experience in the north-east! Malcolm had ensured that old craftsman ship had been revived to some extent with carved English oak and carpentry skills taught to young lads, others were passing on the skills of the stonemason, it also housed the most modern computer controlled laser lighting system and state of the art sound system, within fifteen minutes the main hall is transformed into a multi faceted entertainment complex, yes we all agreed this was a tremendous achievement in fifteen years. The levels of kitsch were unbelievable. Why not, we all thought, tourism had grown as a significant part of the north east economy since the dark days of 2012 when it only accounted for around £200m worth of business, these days we are reaping the rewards of over £500m per year from visitors who come to see amongst other things our enlarged Roman Fort with its added reconstructed walls, the new swimming pool and alongside it the new leisure centre opposite the beach continue to thrive even in wet weather. The multiplex cinema and outlet shopping on the Dragon had proved to be a big hit, and even Jarrow had benefited from huge upgrades and a new visitor centre for St. Paul’s church where the history of Bede is now a major pull. Pulling it all together is the new fleet of privately operated electric mini buses transporting folks from one attraction to the other, plans are also in place by a local taxi company to replace the whole of its fleet of cars with the latest Nissan electrically driven model. They would be necessary as petrol driven vehicles were no longer allowed in the town centre – that had killed off the old car parking debates ten years ago – and visitors were “encouraged” to use the park and ride facilities near White Mare Pool. Furthermore the expanded Ocean Beach Leisure Park and the illuminated sea front was drawing almost as many visitors as Blackpool, and they all had comfortable beds to sleep in at the new hotels at the Pier Head and Harton Staithes, which in turn had sparked a resurgence of the guest house trade on Lawe Road and Seafield Terrace. Malcolm was beaming in his old age on the opening night as two hundred local dignitaries dined in the splendour of the new Cloisters On Crossgate, after a five course meal they were entertained by South Shields latest X Factor winner Geordie Robson who had seen his first two albums go “platinum” in the download charts within a month of release, the event was broadcast live on NETV and on South Tyneside Council’s website which was now enjoying the experience of having 10000 visitors for its monthly half hour meeting of the Borough Council where Cabinet decisions are rubber stamped. Yes, we all felt proud, an odd mix of Keynesian economics and private enterprise was driving money into the area, things could only get better (good grief Robson was even crooning that old chestnut on opening night). With a house full of teenage guests, the sight of a blocked WC at 08:00 was no fun at all, and the temperature of that water was a complete shock to the system! I put the dream on the back burner. First a bit of music to cheer you all up, and may I extend a big welcome to you all as we begin a New Year in South Tyneside’s first and oldest political blog, I wish you all a Happy New Year and hope that it brings some sort of cheer to you. I cannot promise that output from this desk will be any more frequent this year than it was last, a new lifestyle here leaves me a bit less time to write and my passion for photography at South Shields Daily Pictures also competes for my online time. However, with a long drum roll let’s get started with things for 2012. Financial and political pressure within the EU continue to build as a realistic solution to the Eurozone crisis fails to materialise, as referendums in Greece and Ireland initially reject further austerity measures relating to the latest bail out plans. Calls to remove these countries from the Eurozone are thwarted as both nations are forced to hold a second vote which confirms their compliance with the Commission’s wishes. Massive unrest on the streets of Athens leads, for the first time, to a pan European peacekeeping force being deployed in Greece to keep its citizens under control. David Cameron decides that Britain will not contribute any personnel to the new force, and further reduces Britain’s contribution to the IMF, stating that our financial problems require us to keep more of our finances at home. Nick Clegg threatens to pull the Lib-Dems out of the coalition in protest at the Conservatives outright hostility to the new EU plans designed to bring stability to the markets, however because of Labour’s weak position under Ed Miliband a combination of Tory and rebellious Labour MPs win the day in a Confidence debate in the House of Commons, thus tying the Lib-Dems into the coalition. Rebel Labour MPs claim this was the best way to ensure the total demise of Lib- Dem MPs at the next general election whilst buying more time for Labour to reorganise. In America President Obama wins a second term, although very narrowly, after providing logistical and intelligence support to Israel when they successfully bombed a number of Iranian nuclear facilities the week before President Ahmedinijad was expected to announce the testing of his country’s first nuclear weapon. In Russia Vladimir Putin is elected to lead the nation again, but there are strong doubts about the integrity of the elections, massive unrest in Russian cities is dealt with firmly and harshly, and following warmer than normal friendly talks with neighbouring states regarding trade agreements and energy supplies, observers begin fearing for the independence of the Baltic states (Latvia, Lithuania, and Estonia) as nationalist parties there see a massive rise in popularity after the EU’s enforced austerity measures spark riots. North Korean leader Kim Jong Un announces a new treaty with Iran, promising to help them rebuild the facilities destroyed by the Israelis. Increased defence spending in the secretive far eastern state has resulted in a larger American military presence in Australia’s Northern Territory and the permanent patrol of a full battle ready US fleet in international waters close to the Korean peninsular. China continues to be the world’s leading economy but still shows little appetite for increasing it’s spending on imports, preferring instead to produce good quality copies of foreign article for home consumption, Obama’s pleas for relaxations in China’s trade policies fall on deaf ears. The case in San Mateo County Court in California involving three South Tyneside councillors and an officer rumbles on seemingly interminably with no prospect of either a firm result and conclusion, or a commencement of proceedings in a British court. The costs of the matter are used as a political weapon during the local government elections in May. Fifteen South Shields boys and girls attend the X Factor auditions in Newcastle but not a single one makes any progress, meanwhile late in the year Little Mix release an album to mixed reviews which does well in the charts but does not reach No. 1, fans had a liking for the new material but complained that five covers in the album were probably too many. As the year closes Little Mix prepare for their second UK headlining tour. Meanwhile Joe McElderry had released an album firmly in the dance genre after expressing disappointment over the sales of his Christmas Classics collection of cover songs, he also decided to accept the offer of a part in a West End musical and will be appearing in panto at the end of the year at Newcastle’s Theatre Royal. South Tyneside’s jobless figures continue to rise although not at the massive rate that some had feared, local employment prospects are boosted by the announcement from Nissan of their decision to build a further two new models at their massive plant in Washington. In the local elections in May Labour takes an absolute stranglehold on local politics as virtually all opposition in South Tyneside is wiped off the map. Cllr Geraldine White loses her seat to Labour in Fellgate and Hedworth, Lawrence Nolan fails to hold Harton for the Progressives after the retirement of Jimmy Capstick, the Liberal Democrats disappear as Joe Abbot loses to Labour in Hebburn North, Labour regain Horsely Hill in a close contest as Independent Alliance councillor Gordon Finch loses his seat, in Monkton John Hodgson somehow manages to fend off Labour’s challenge with only a handful of votes to spare, Labour make it three in a row in West Park as Enid Hetherington ends the Progressive Association’s long tenure there, Labour pick up Westoe at the expense of Allen Branley, and further legal challenges ensue after Ahmed Khan narrowly loses the decision against Labour’s John Anglin in the Beacon and Bents ward of South Shields. Labour’s only other failure on a remarkable night was in Cleadon Village and East Boldon, where Conservative Councillor Jeff Milburn retained his seat with a much reduced majority. Following further shop closures in King Street, South Shields, South Tyneside Council announced an updated plan for a shoppers car parking scheme which gave two hours of free town centre parking, charges would only be applied after two hours and could be refunded if shoppers were spending more than £5 with local “partner” businesses. In a further sign of Labour’s pragmatic approach to working with the coalition government council Leader Iain Malcolm announced his intention of shaving an additional £45m from South Tyneside’s spending as he intended to announce a first ever reduction in council taxes to help local people rebuild their economy by putting money back into their own pockets to spend. On the sporting scene, South Shields Mariners are in disarray after the sale of Filtrona Park , a late season slide in form saw them narrowly avoid relegation and their future is now in serious doubt as new houses are about to be built on their former ground. Until they find a new home their existence in the Northern League cannot be guaranteed. In the Premier League Mike Ashley showed no inclination to spend on Newcastle United during the January window, as once again he discussed the possibility of selling the club at the end of the season. The Magpies strong start to the campaign was cancelled out when striker Demba Ba suffered a serious injury, this coupled with the sales of Tiote and Krul meant that Pardew’s men had a late season loss of form which saw them end the campaign in 15th. place. Rivals Sunderland were boosted by the surprise arrival of a top name striker and a full back which pleased the red and white half of South Shields. Meanwhile Ryan Noble’s emergence as a Premier League threat helped Martin O’Neill cement his status as a “legend” as the team went on a strong run towards the end of the season finishing above the Magpies in 9th. place. Owner Ellis Short announced that further funds would be made available to the Irishman for the summer transfer window, once again Sunderland are considering the possibility of extending the capacity at The Stadium of Light. So many things that I said “No” to during the past week. It didn’t help that “Dave’s” coalition government and the Opposition sort of joined forces to whip their MPs to vote against giving us a new referendum on our relationship with the EU, after all it is a totally different beast to the one which we last had a say about in 1973. The idea that people could register their ePetitions on the No. 10 website and if they had enough support (over 100000 signatures) they would result in a debate in the House of Commons is essentially a good one, especially as there are, from time to time, issues where it seems our MPs might be slightly out of tune with the public. However, a second petition relating to the price of petrol will apparently NOT be debated because of a lack of time in the Parliamentary calendar! Come on Dave, your government is devaluing the importance of these petitions if you cannot find time to debate them. I profoundly disagreed too with the whole “solution” to the Eurozone crisis, this managed default of the Greek debts is a signal of much worse to come, we have spent the last two years throwing more debt at the Greeks and the Irish with other economies also being drip fed bail out funding, and let’s not forget how much was borrowed by Gordon Brown to increase the liquidity of British Banks either, I fail to see how you can solve anyone’s debts by piling more debt upon them! But we are led by the (European) nose to help create a 1.2 trillion Euro fund to assist member states who cannot manage to spend around the same amount that they earn in revenue. Surely a result of the Brown/Obama plan to solve the banking crisis, invest spend your way out of trouble! Italy, Spain and Portugal will be next to feel the pressure of the mountain of Eurobond debts, as once again we see economies that are introducing austerity measures rather late in the day to balance their books. If we ran our household budgets in this way we would soon be looking towards a voluntary bankruptcy! Which brings us to the UK, where we too have come to realise, late in the day, that our national debts and budget deficit needed to be urgently addressed, and despite the efforts of the coalition government to bring public spending under control, those debts continue to rise and public spending continues to be a massive burden, George Osborne tells us that we are not contributing much to the European Stabilising mechanism but with deft sleight of hand we are increasing our contributions to the IMF instead, any wonder that we fail to meet spending targets? The hand of Brussels lies heavily upon the decisions made by our politicians and the whole mess has the German Chancellor, Angela Merkel musing over the future peace of Europe, possibly a rather far fetched view in my opinion, but it shapes the ridiculous writing in some of our newspapers this weekend. Solution, allow the Eurozone to collapse and let member states reintroduce their own floating currencies, allowing a managed default based upon the exchange rate of the remaining Euro at the time of conversion to the new currency. Tell these member states that the European Central Bank will not be bailing them out in future, perhaps then we might see some fresh starts and some growth slowly emanating from the ashes, this whole sorry affair of the last week has been more about saving the single currency and the European dream of political unity more than it has been about saving the economies of individual member states, and by playing their own small part our coalition government has nailed its flag to the mast as a lukewarm supporter of European integration. I firmly believe that ALL British politicians were wrong, wrong, wrong, not to allow their MPs a free vote during the EU debate, and that sometime in the far future the EU will collapse as a result of its utopian political and economic dreams. The government’s cuts are brutal and ideological. Our task isn’t just to protect residents from the worst effects – it is to make them fully appreciate whose hand is on the axe. Brutal? Idealogical? What then would Alistair Darling’s cuts have been described as if Labour had won the last election? There is no doubt that you could hardly have passed a cigarette paper between Labour and the Tories public spending pronouncements at the time, £2 bn difference within a national debt amounting to £1.2 tn is minuscule. That is where I find my disagreement with the Leader of the Council, a fair lack of honesty and a total lack of clarity over who put us all in the financial mess that we are in, he was quite happy to accept the cash that Gordon Brown’s government kept producing, quite happy to keep increasing council taxes year after year when even Brown’s largesse was deemed as insufficient. He knows, I know, and we know, that the party had to come to an end. Because it doesn’t have to be like this. Local government has been a force for good in Britain. We will work to defend our communities by examining new and innovative models of service delivery – through trusts and co-operatives, asset transfers to the voluntary sector, strategic partnerships with the private sector or more joint working between councils. Ah, now here are the clever little secret caveats, we WILL do it the way the coalition wants, because we DO want to make sure that there will be no increase in council taxes again! Look, yes, I know and understand that it is tough going, with very difficult spending decisions to make, but I also know that we knew this latest tranche of cuts was coming, it was NOT a complete shock,we knew twelve months ago that the “front loading” was only the first phase, this is probably the press release was made by Martin Swales rather than a Labour politician. Please take time to look again at the Gazette article, because therein lies another disagreement, some fool writing in the comments section reckons we somehow managed in the past without a Chief Executive, beats me how this sort of stuff gets into some minds. No council could be administered without a manager at the top, it matters not what he/she is titled, Chief Officer, Chief Executive, Director, or Town Clerk, we have always had a one! Finally car parking in South Shields, perhaps one of my hobby horses, I wrote at the time of the introduction of the first “pay and display” areas in Beach Road, South Shields that it would not necessarily kill off the town centre, but also warned that it was the thin end of the wedge and that Town Hall bosses would soon extend the pay and display schemes to other areas, and I was right. I published a picture showing Beach Road populated with parked cars using the new meters, more recent evidence suggests they are not quite so popular now, for instance I can never remember seeing Beach Road so empty opposite the Town Hall, yet places such as Derby Street, Claypath Lane, and back Westoe Road are totally choked! There are even decent amounts of spaces in the town centre car parks since the charging scheme was amended, 1p per minute for just one hour is simply not giving the average shopper sufficient time, the 1p per minute charge should extend to the first two hours as a good compromise. If we can go somewhere toward attracting these motorists back to the areas where they want and need to park, then we won’t be creating as many problems for local residents who see their streets choked by other motorists, then we won’t have the thorny and expensive problems of resident permit areas! “Big society” parking operators? OK I can go along with that, but more and more “pay and display schemes” at the wrong prices and in the wrong places is now something that seems to be creating additional problems in areas where we don’t need them. I’m already getting pretty tired of the lacklustre economic performance of the Conservative led coalition government still labouring under the debt burdens left by its predecessor and weighed down by the yolk of the Eurozone debt crisis, the mantras are now ineffective and sharp clear results are what we are all screaming out to see. In the absence of any real growth policy the UK economy continues to slumber and the message that Labour “maxed out” the nation’s credit card continues to be broadcast ad nauseam. Yet, even after acknowledging the massive difficulties faced in attempting to reduce the structural budget deficit, and the mounting contributions to the IMF and the Central European Bank to shore up Italy, Greece, Ireland, and possibly Spain and Portugal too, it will be hard to argue that they are succeeding in meeting many targets when the next round of public spending figures are produced by the National Statistics Office. I confidently predict that despite the reductions in spending that we will see overall public expenditure continuing to rise seemingly unabated and the PSBN (Public Sector Borrowing Requirement) will once again be a huge area of concern, after almost eighteen months in office the coalition will not have been able to show any real impact on the important numbers that determine how the international financial institutions regard our economy. Additionally the recently announced plan to print more money inject a further £75 Bn worth of quantitative easing into the banking system will have no guarantee of reaching the parts of the economy that need it (SMEs and consumers) and almost every guarantee to further fuel inflation which is already above the Bank of England’s targets, savings and pensions are about to be eroded further. So, it comes as little surprise that we learn today that fiscal responsibility is still not something appreciated by some officials in local government, the Daily Telegraph carries an account of how councils in England, Scotland, and Wales continue to allow Chief Executives and other higher managers to spend on corporate credit cards to fund a “work style” that many could only dream of. I know it’s only small beer in the larger scheme of things but it is indicative of an attitude that ignores a responsibility and accountability that they have to local tax payers and the way that they spend other people’s money. Local councils. they say, have racked up credit card debts of around £100 m over the last three years spending on such things as overnight hotel bills, first class travel, and gifts. However when delving deeper into the reported figure for spending which exceeded £500, we see things which perhaps might put some Chief Executives on a par with MPs during the horrendous disclosure of their expenses. Take a look at Essex County Council and ponder on its spending of almost £1m on “legal matters”, it turns out that most of these were the payment of fines! They also ran up huge bills at Tesco and Marks and Spencer. Then ponder over how Pembrokeshire Council can spend over £5m on a credit card and include what looks like the whole of its social housing maintenance bills, £500 for a gingham dress, and over £1000 for an iMac (surely a Windows PC would have done the job?). On closer inspection it feels like the whole of their operations are paid for by credit card rather than the direct paying of invoices from departmental budgets, one has to ask why? Aberdeenshire spent over £2500 on 60″ and 42″ flat screen TVs, almost £1000 on Nintendo DS game consoles, almost £6000 on Apple Macs and software, over £6000 on camcorders and digital cameras, over £1000 on tickets for the Edinburgh Fringe Festival, they are another council who spent over £1000 on a top spec iMac Pro where a cheaper laptop would probably have done the same job. They also spent almost £5000 on theatre tickets and sent staff to just about the four corners of the earth! Council tax payers in South Tyneside might like to know that our neighbours at Gateshead Council spent almost £44000 on their credit card, North Tyneside a whopping £1.28m over three years, Newcastle City Council under £7000, Sunderland along with South Tyneside managed to total an absolute NIL! (There may, of course be smaller amounts that fell below the £500 reporting threshold). I am pretty much shocked at how councils have managed to use credit cards so widely, I’d like to think their use may be a way to pay for goods and services quickly and effectively especially if they are engaging in internet shopping, I’d also like to think that they are buying at the cheapest available prices on behalf of their tax payers. However, items like Macs are more a “desirable” than a “must have”. Any thoughts from those involved in buying on behalf of local councils would be much appreciated. Why all of the big fuss? 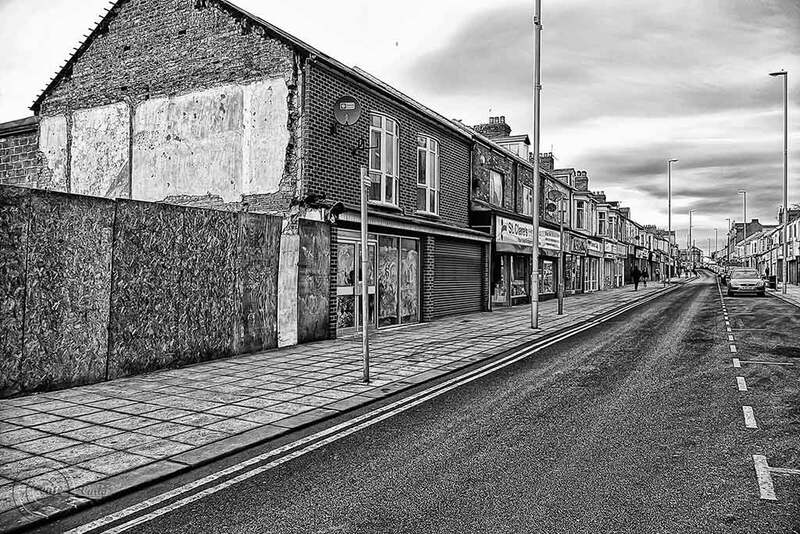 I cannot understand why the decision of South Tyneside Council to demolish Wouldhave House in the Market Place, South Shields has caused such verbose reaction amongst some of the regular readers of The Shields Gazette (from whom I link to this picture). It is an eyesore, it belongs in a bygone era when buildings needed to be erected quickly and cheaply after wartime damage, function was of far more importance than style or context, and for many years two sides of our Market Place have looked distinctly “out of place”. It’s architecture resembles post war East Germany and we were left with buildings that one could not in all honestly be proud of, but they served a purpose. Houses are in the process of being constructed opposite the site of the old Eureka public house in Frederick Street, and much land has been cleared ready for development along the riverside former site of Middle Docks and the former site of Plessey/Circatex. It is good to see, at last, that some progress is being seen to be made, one constant criticism I have made of South Tyneside Labour Council has been its ability to drag its feet on town development, although I must concede in this case that many parcels of land needed to be bought up to make available for developers and this does take some time. I wonder how many of the verbose critics in the local paper took the time to involve themselves in the consultations which began in 2007 and offered some views or opinions as to how they wanted the future shape of South Shields to evolve? I wonder too if the constant shrill calls for free car parking are really the answer that we all seek to regenerating the borough’s economic viability and our ability to attract and retain visitors, I think that we have already proven that our parking charges are modest in comparison with our neighbours and that new pay and display areas are not succeeding in turning visitors away! 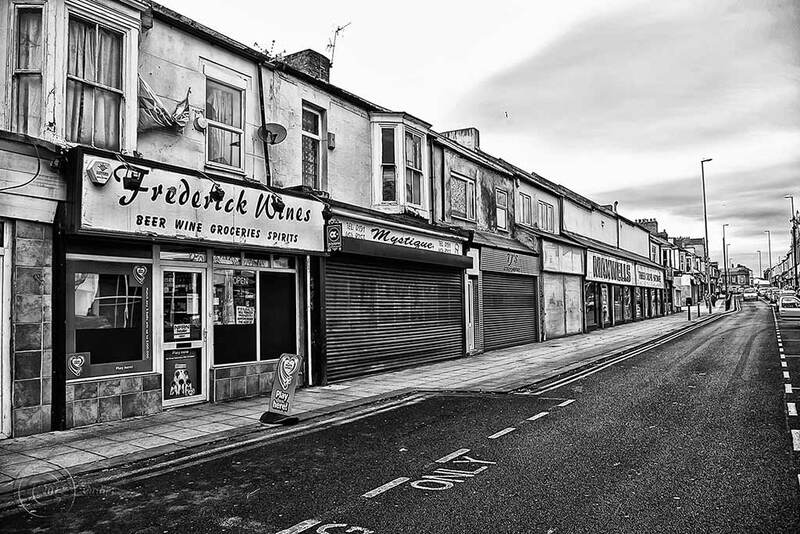 You won’t find hundreds of free car parks in North Shields or Tynemouth, but the shops are still there! For a while, as Janis Blower rightly asserts, we will have another wide open vista of the riverside which people will be reluctant to lose, but lose it we must! We must hope to find a developer who can create a modern scheme with a traditional background that should include retail units, cafes and restaurants, pubs, and commercial opportunities above and around. For those of you who have visited Hartlepool Marina, I hope you were impressed by the presentation of shops and hotel on the seaward side, I think it is a smart development with its iron palisade and glass covering, attractive enough for a visitor to take an interest in and filled with a good variety of outlets, I honestly could live with something like that on one (or even two) sides of our Market Place. However, what is vitally important to attract the right developer is that the land is available, serviced, and ready to build upon, there is little sense in leaving the north side of the Market Place as it is, it will not attract interest and postponing demolition will only increase the cost needlessly. Lets get it down while we can, and be determined not to place a car park on it! What form of development would readers like to see on the north side of South Shields Market Place? Do readers believe that free parking is the answer to our many problems? 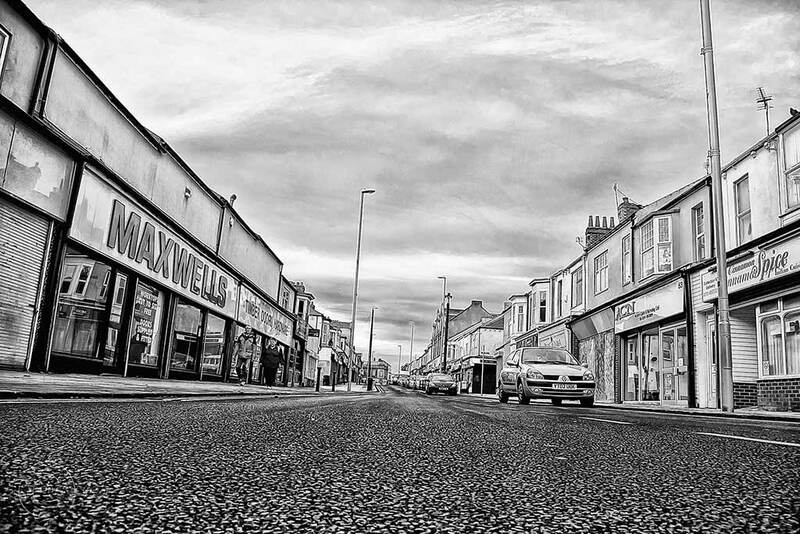 How best should South Tyneside prepare for an eventual upturn in the local economy? I’ve had a great weekend, and hope you all did too, the early spring sunshine has helped to show South Shields at its very best with thousands of visitors enjoying our coast, beaches, parks, and restaurants. Friday’s Royal Wedding was a joy to watch whether at home in front of the TV or in the South Marine Park where I reckon about 1000 people were sitting on the grass with their picnics in front of a giant screen erected in front of the restored bandstand, it would be churlish NOT to congratulate the people at South Tyneside Council for arranging this. The picture quality was first class even in the strong sunlight, just a pity that a sharp shower temporarily got in the way, but it didn’t force people to leave, it really was quite festive. We managed to do some supermarket shopping in the morning and it was the easiest experience you could find, the place was near deserted and we were finished in less than twenty minutes, I had a chat with some of the staff and discovered that they had all volunteered to work on Friday and rewarded with overtime and a day off in lieu. It was also interesting to note that each year they nominate two of the available eight Bank Holidays to work and rotas are arranged on that basis, a pretty good way of satisfying almost all of the staff and ensuring that they get a good amount of Bank Holidays to themselves to enjoy with their families. Saturday also found huge crowds in the parks enjoying the weather and I can see in future years that the cafe available inside the new swimming pool will be well used, certainly if we fall victim to the odd shower. Just disappointed that the afternoon was marred by a pretty inept display from Sunderland who surrendered without a fight to Fulham. Yesterday saw me delivering leaflets in the Harton ward of South Shields in delightful warm sunshine, which made the task that much more rewarding, even had a very friendly chat with a congenial Labour councillor, as well as adding to some sterling work being done in the Beacon and Bents ward. Met many prominent members of our Bengali community yesterday evening on a full tour of every one of our restaurants in the town centre and Ocean Road, it was pretty cheerful and the reception was great, once again it was apparent that South Shields was the place to be as just about every establishment was busy with queues forming at two or three of the most popular, but boy the aromas of the spices were inviting. Just wish I could have sat down and joined in the feasting, but it was a bit early in the evening for me. I have to say that I’ve been very encouraged by the responses we’ve received whilst campaigning for Mr. Hayder in the Beacon and Bents ward, no hostility at all, and I think people welcome the additional choice and a return to the days of more activity from the local Conservative candidate, far better than the days when a name was offered as a choice but no effective campaigning took place. This is far, far different to recent years. We may be taking a trip out today if the kids can decide to agree, then it’s back to normal from tomorrow, hope you all enjoyed this great Bank Holiday weekend.